the 3 pictures above are my first every baby gift to make! I had so much fun making the hat, blanket, and card for Jenna Claire who was born in the end of January! 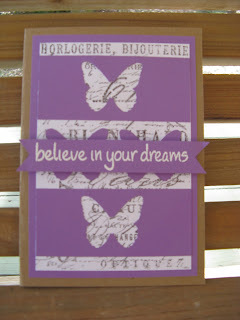 This card I made because I was playing with a new butterfly punch. 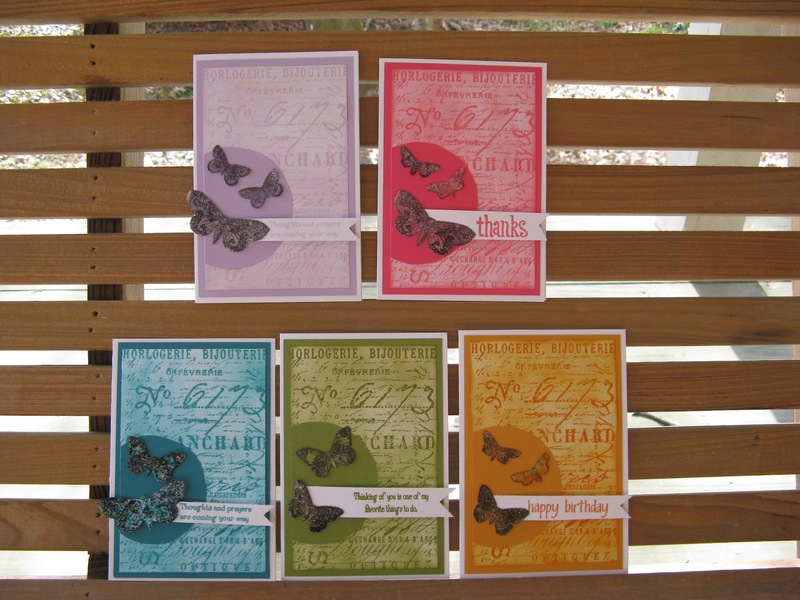 This set was a lot of fun to make because the butterflies are embossed with glitter trapped in it! This thank you card went to the very nice Carnival worker that cleaned our Cabin on the cruise ship for 7 days and put extra chocolate mints on our pillows! 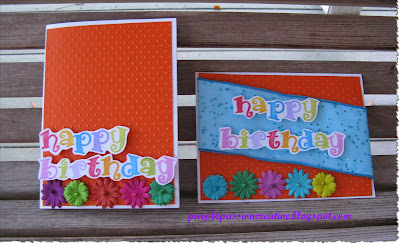 This is a copy cat card that I made after taking an online card class about using Patterned Paper in cool ways. I sent this one to my sweet Aunt Norma Jean that lives in Alabama. 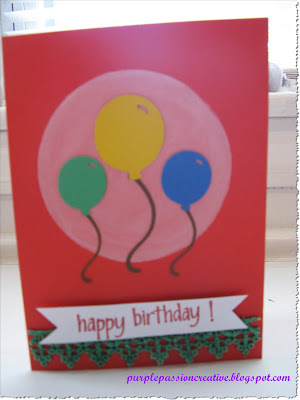 This is another card that I made after seeing one like it on Pinterest. It was a lot harder to make than it looks in the picture! This one went to my Fiance's best friend and his wife! 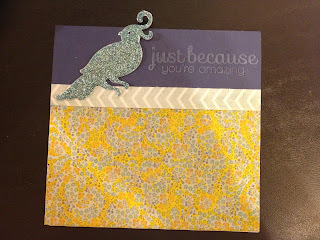 I made this card for fun to try out some new stamps, paper, and washi tape I bought a few months ago. It has no home yet, but I love the colors and bold patterned paper! 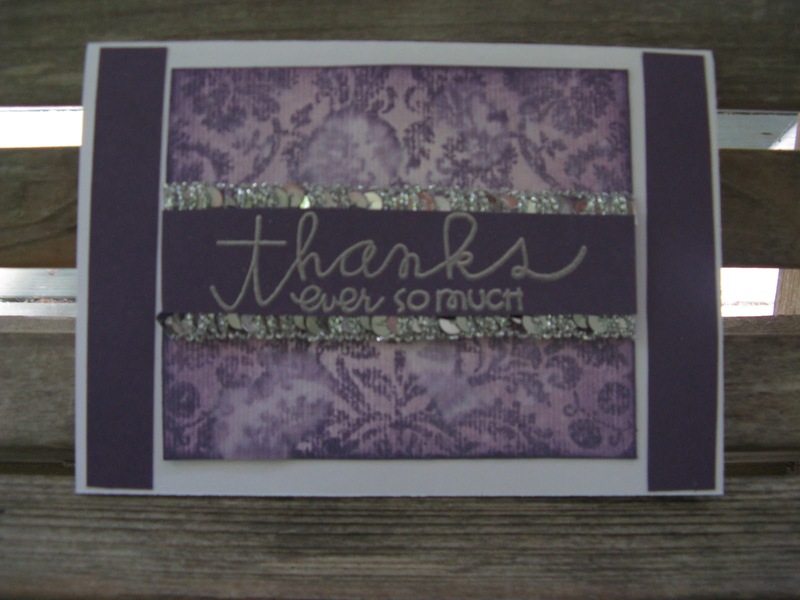 Thanks for stopping by to check out my creations! Turning 21 is very exciting for most because you are finally legal to buy alcohol. 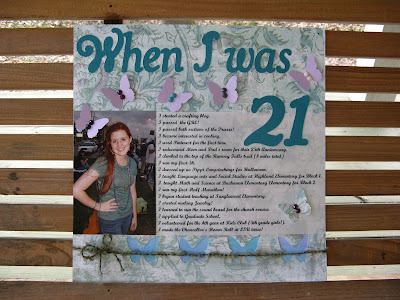 I however do not drink; therefore, I decided to document the special things that I did as a 21 year old! I had a lot of fun adding to the list as the year went on with the plan in mind to make this scrapbook page! I highly recommend documenting your accomplishments for the year! I studied for and passed the GRE! I passed both sections of the Praxis! I became interested in cooking. I used Pinterest for the first time. I redecorated Mom and Dad's room for their 25th wedding anniversary. I climbed to the top of the Ramsey Falls trail (8 miles total)! I dressed up as Pippi Longstockings for Halloween. I taught Language arts and Social Studies at Highland Elementary for Block 1. I taught Math and Science at Buchanan Elementary for Block 2. I began student teaching at Tanglewood Elementary. I learned to run the sound board for the church service. I applied to Graduate School. I volunteered for the 4th year at Kids Club at church. I made the Chancellor's Honor Roll at LSU twice! Happy New Year! I just wanted to share what I've been able to make since finishing my first semester of Graduate School in early December! 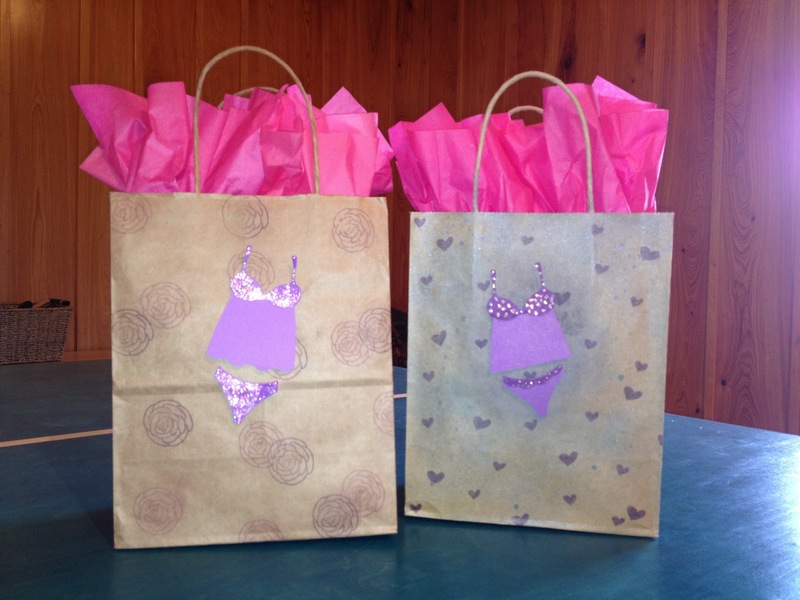 First I gave a pantry show for my friend Michelle. I made Petti fours for the first time by myself (they aren't perfect, but I'll work on it :) ). I also made an apron to use as decoration and it was a hit! I got the pattern for the sweetheart apron off of Etsy and it looked great in the background of our pictures and doubled as a unique gift for the bride-to-be! For Christmas I made Jewelry for family and friends. This Turquoise set was for my mom. I've been having fun practicing the wire-wrapping techniques I'm learning from taking a class on Craftsy.com. These earrings went to my Best Friend Jessica! I cheated and modeled them off of something I saw on Pinterest. It's fun to try and recreate something you see in a picture. This pendant went to my awesome sister! I had a lot of fun making loopy loops with the wire! 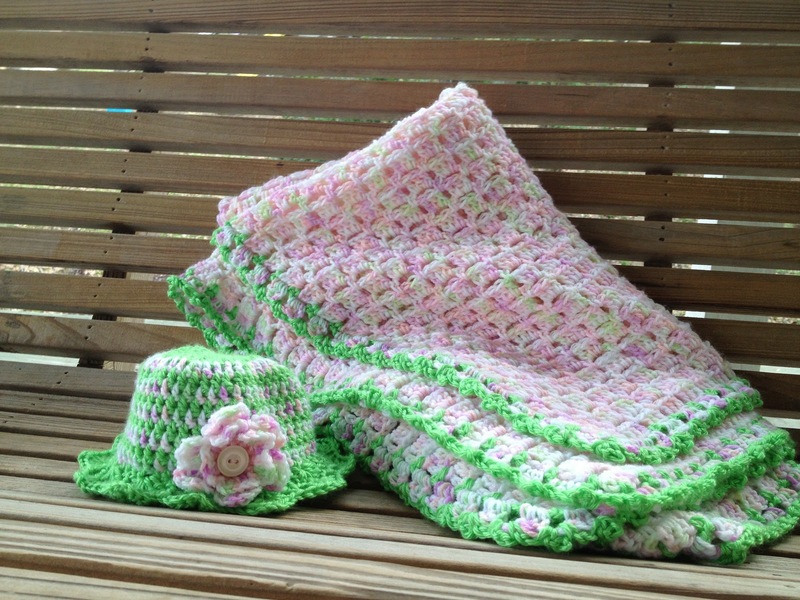 I've also been enjoying crocheting lately. I tried to make a beanie hat for my boyfriend for Christmas, but somehow it turned into a beret for me, oops! So now I'm working on try #2 to make a beanie! I did successfully make some Celtic Knot scarfs! I really like the way the Knots look! Hello! Hurricane Isaac crawled through my area yesterday, therefore today I have the day off! However, after over 24 hours without power, I am ready to go back to work tomorrow! Although it has been nice to have time to craft and catch up on my graduate school reading assignments, I really like my normal schedule! The good part about having the day off is that I actually have time to post my latest creations! PS. I am still working on my lack of photography skills! This one was for Drew and Lisa who got married earlier this summer! 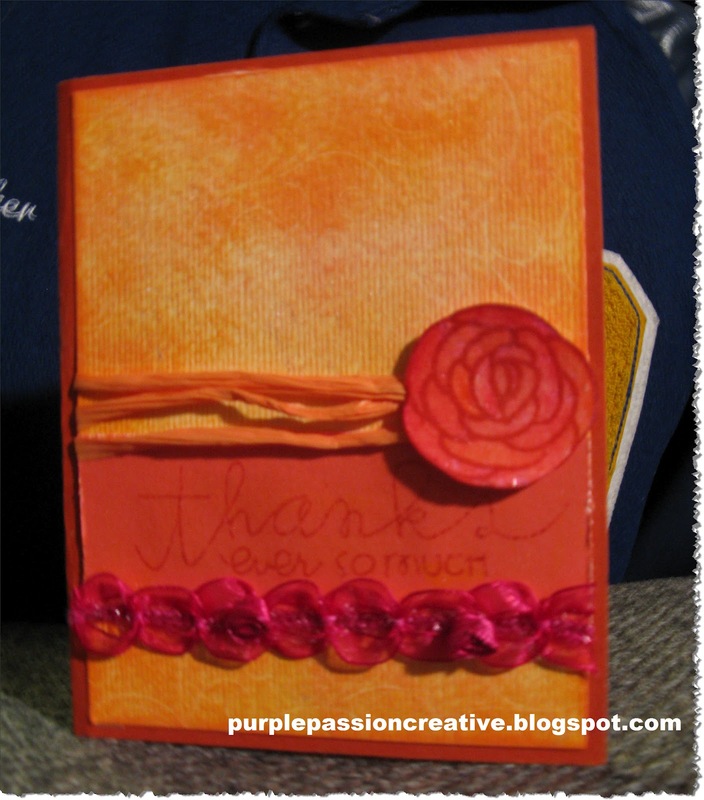 This card was for my mentor teacher from student teaching. I was only with Mrs. Lamonte for a month and a half, but I learned so much about teaching that will help me! This one is for my man of course! I had fun putting layer after layer of embossing powder onto the heart, then while it was wet I stamped the words and left the stamp in until it dried. I love the result, of course as usual the picture doesn't show how cool it turned out! 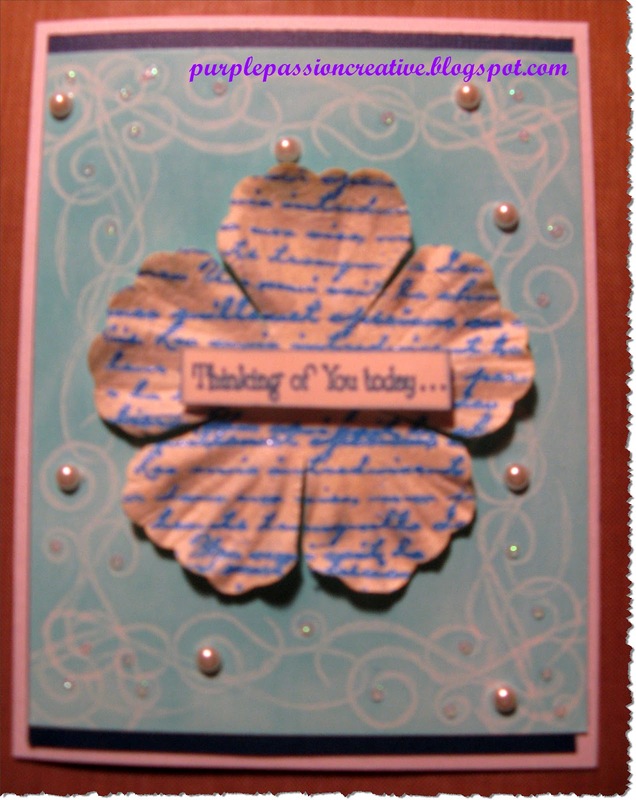 This one went to my super sweet great aunt in Alabama, Aunt Norma Jean. 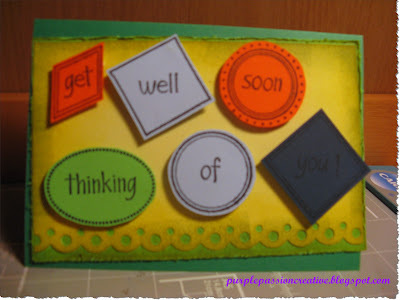 She is so sweet and sends me encouraging notes, and I have a lot of fun making cards to send back! 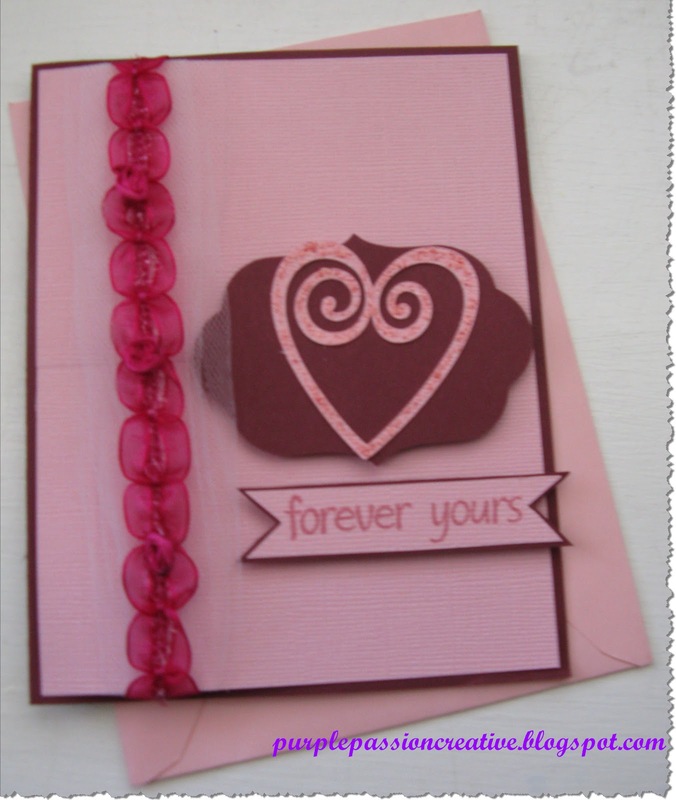 This one went to my man too, isn't he a lucky guy lol! I got this paper and just had to try it out, then I had fun playing with the hearts that I found in my drawer while moving to my new room! 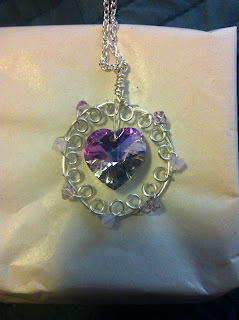 Hopefully soon I will get to post some of the wire wrapped jewelry I've been learning how to make! It is a lot of fun, but very tedious! It's official, I'm LSU Alumni now! Student teaching is finally over and I've got a diploma! I didn't have much time during student teaching to craft unfortunately, but I did find time for much needed craft therapy when I could spare a moment. This post is everything that I made from January to the present but never had a chance to post. I'm not sure what this necklace is for yet, and I can't decide what I want the matching earrings to look like, but I love that butterfly! 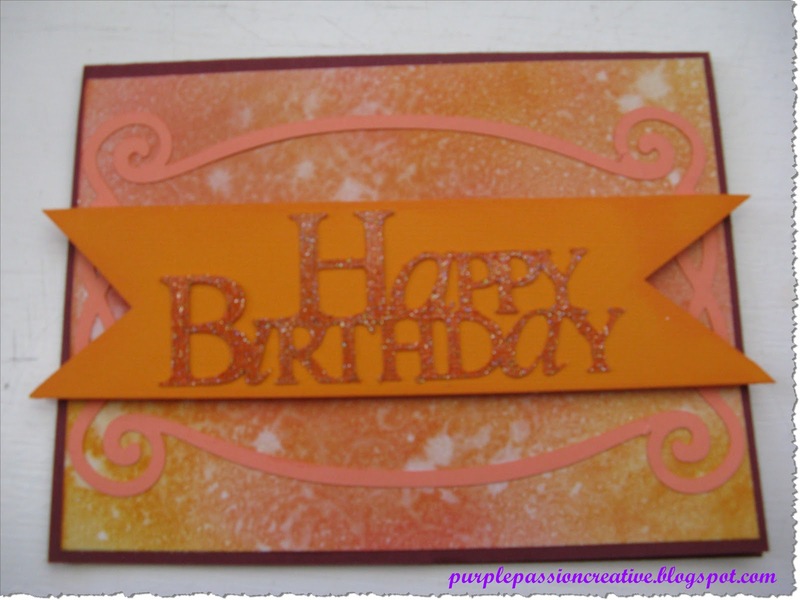 This card was for my cousin Katie's birthday in January. This was Allen's Valentine's day card. 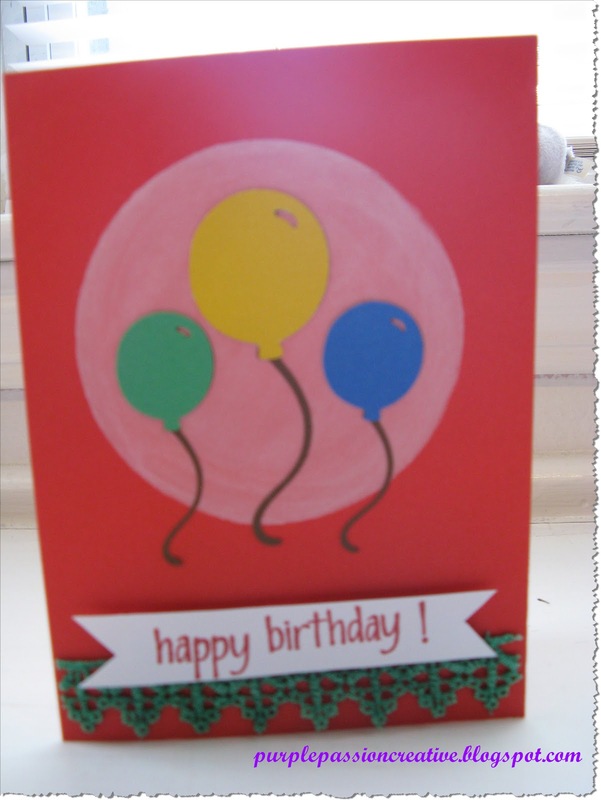 This one was obviously for a sick relative, it represents how bad I am at making masculine cards! This is a terrible picture (I'm still learning how to take pictures of craft projects, who knew it was so hard to take a good picture of something that doesn't move!) The card was for my cousin Ginibeth in Alabama. 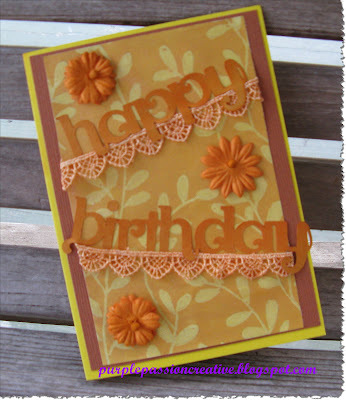 This card was supposed to for my Dad's birthday, but I ended up giving him something else so it is still in the stash! 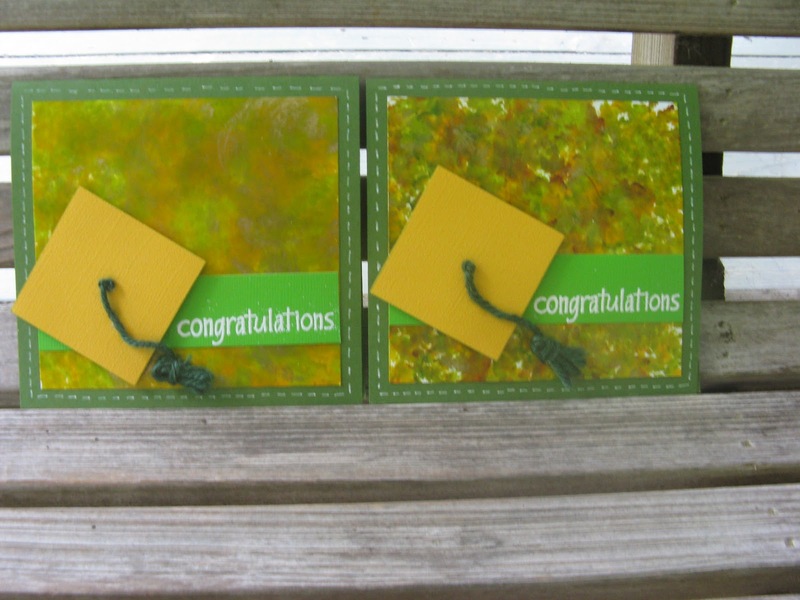 I made these two cards while I was trying out the new chalk ink I got for Christmas. 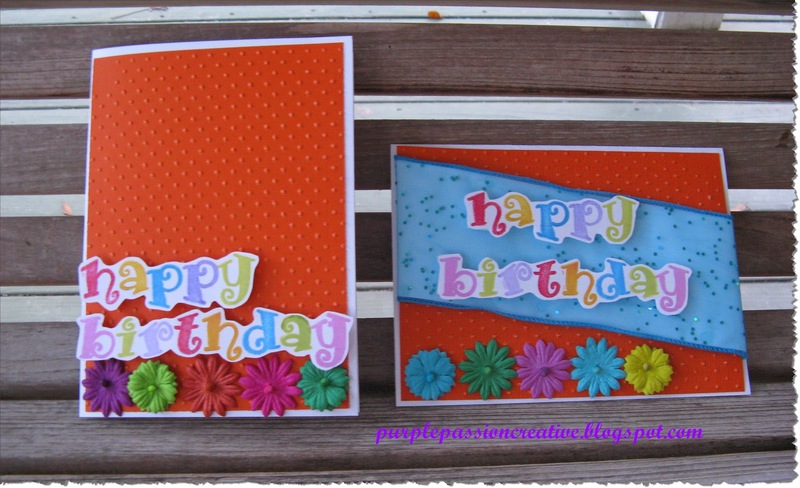 It took forever, but I love the rainbow stamped "happy birthday", and the bright colors make me smile! This card is the product of experimentation with a bunch of new stuff. 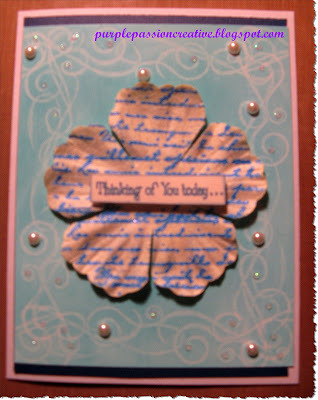 I tried out metallic mixatives, perfect pearls, glimmer glam, and distress stains all on this one card. 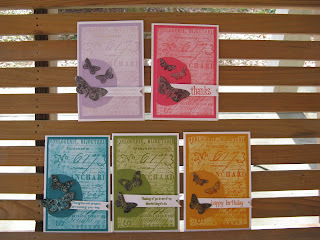 The results were interesting, and I had to air the card out, but I like it now that it's all put together! I also learned that it is important to spritz the perfect pearls with water because it will rub off if you don't "fix" it! This card was made especially for my University Supervisor for my student teaching. She always wore the most interesting and bright clothing, so I thought this would be perfect! 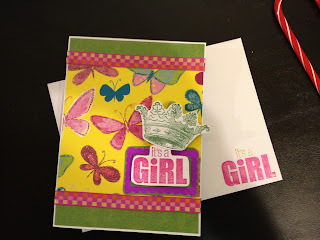 I got to try out a new color of distress ink, a flower stamp, and water colored pencils! I had fun with some glitter embossing powder on this card! 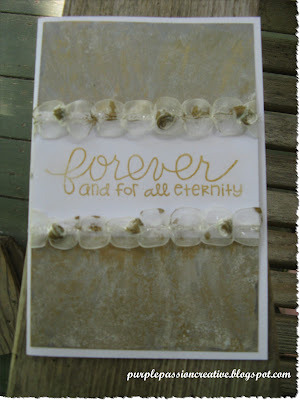 I wanted a sparkly look, with out the mess, so I used the embossing powder on the letters to eliminate the mess! 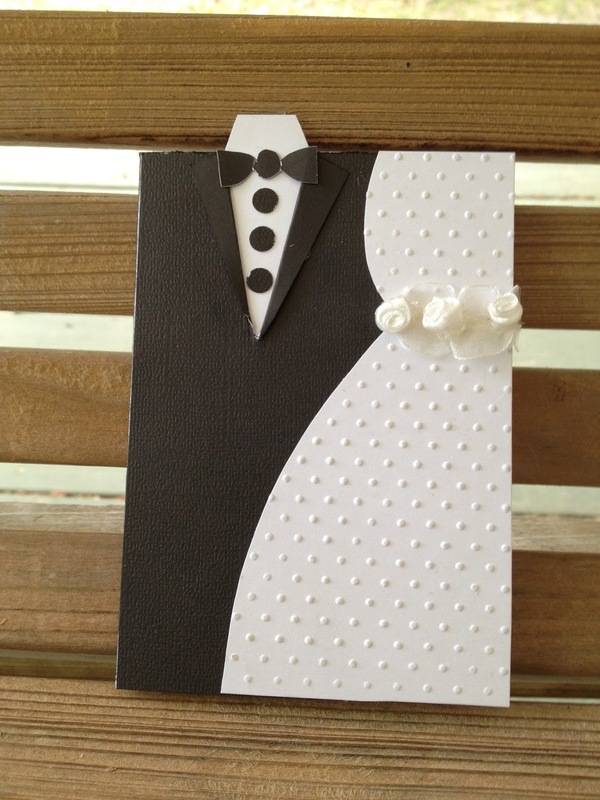 I had fun using the sewing theme on this card, and then I met the perfect person to give this card to while I was student teaching. 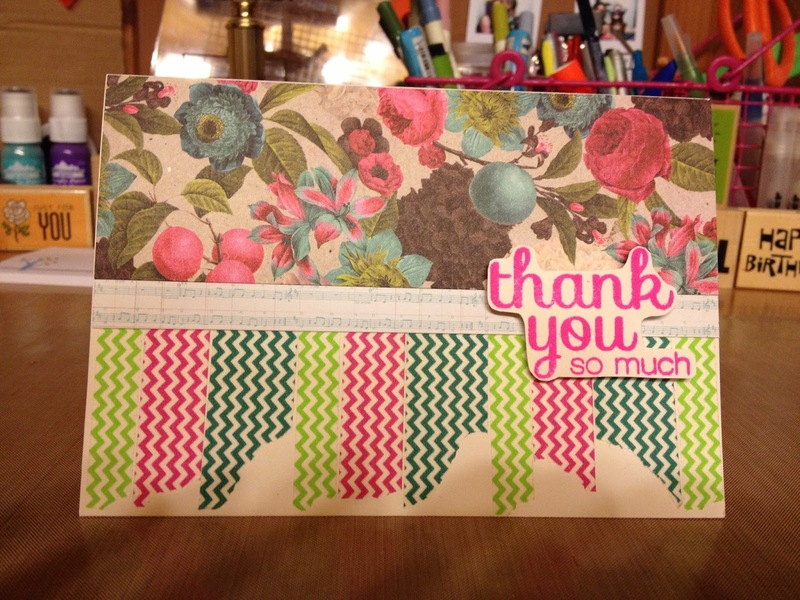 The associate teacher in the class loved sewing and she was one of the sweetest people I've ever met! 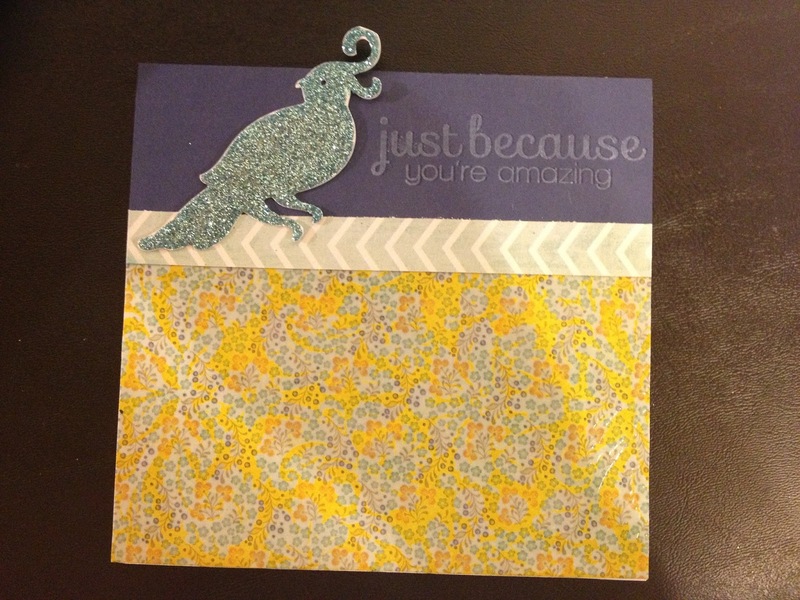 YCU Clean and Simple Card Challenge! 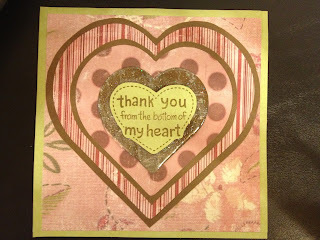 I made this card using some of the new crafty goodies I got for Christmas. 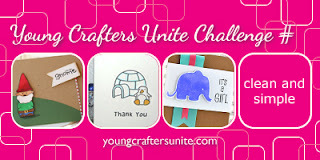 I am playing along with the YCU Clean and Simple Challenge! 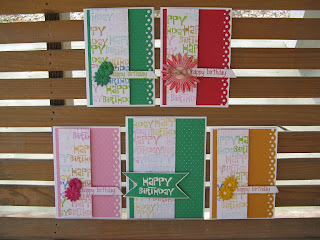 I must say I am loving having water color paper and a background stamp to play with! The card will go to my Math teacher from last semester, she has been so nice to write me several recommendation letters for Graduate School applications! Today is the big day! Its finally time to watch the Tigers play again! This set was my Best Friend Jessica's Christmas present. 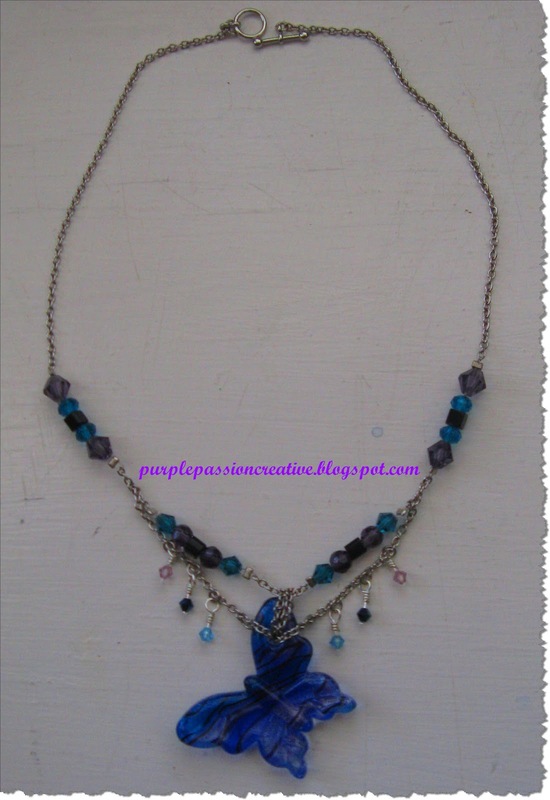 The beads didn't photograph well, but they are mostly purple and shine gold! This was a perfect combination! I like the beads because they are elegant, yet they go along with LSU perfectly! 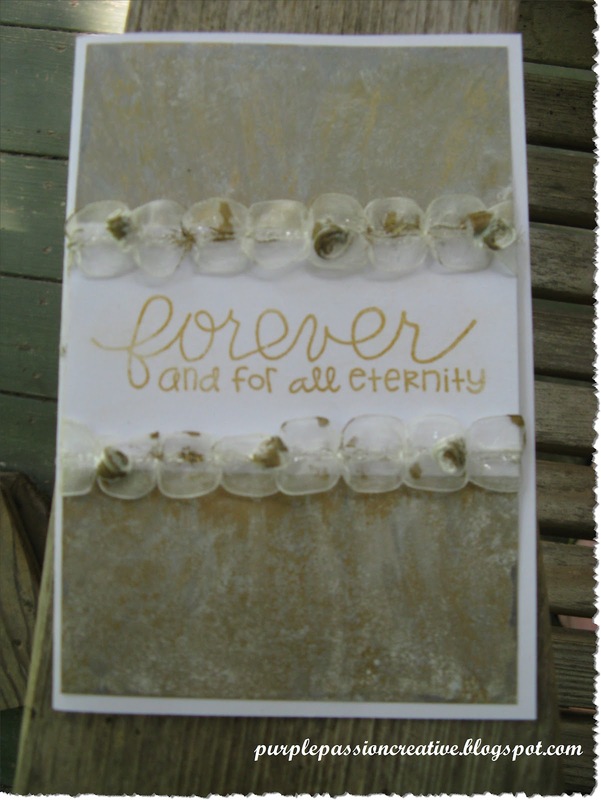 Hello, my name is Brittney and I love pretty much any type of craft project! 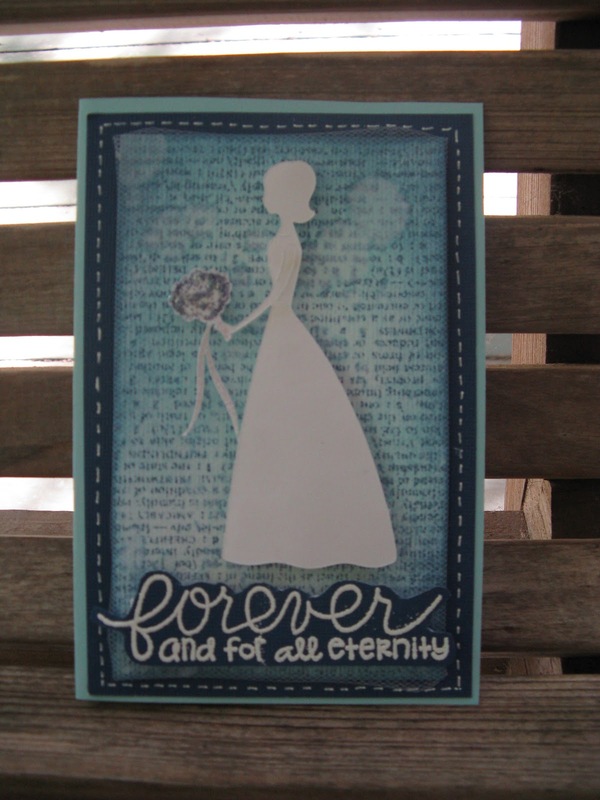 I think of craft time as therapy! I love Jesus, the one who has a greater plan for my life than I could every imagine! I'm also working on my masters in School Counseling at LSU! Geaux Tigers!